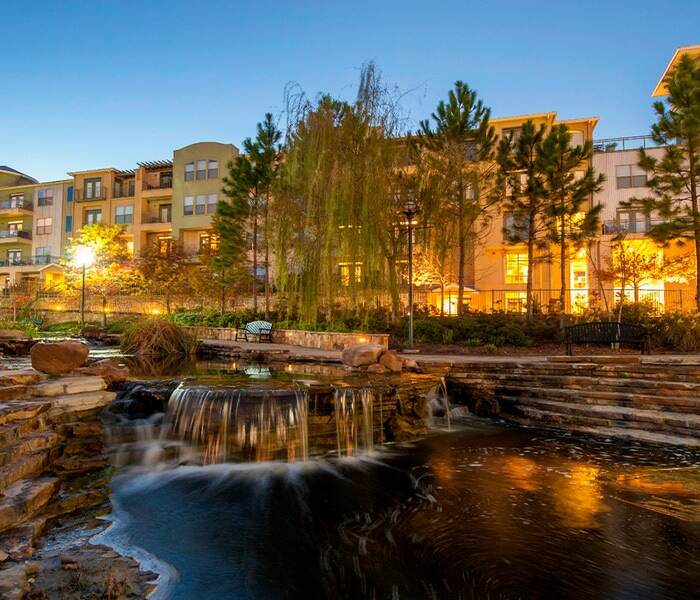 Welcome to Boardwalk at Town Center, an upscale community in The Woodlands, Texas. With its striking collection of features and superior amenities, Texas living has never looked better. 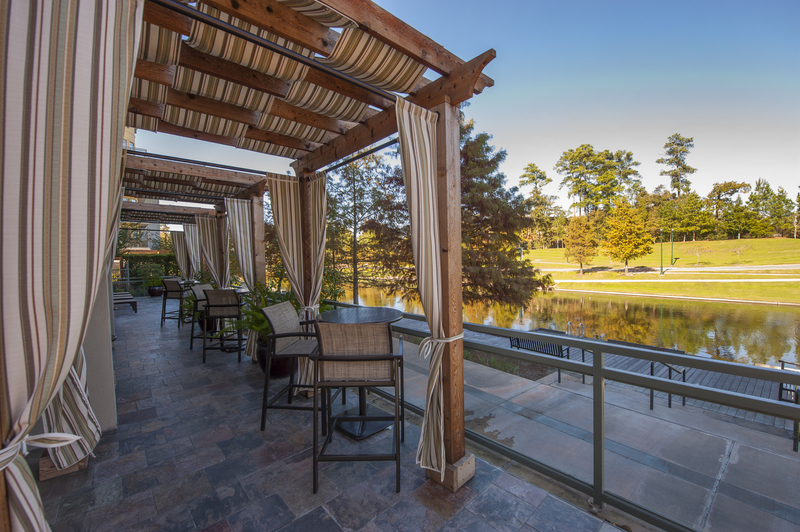 Connecting the best of Montgomery County is The Woodlands Waterway, a stretch of water located behind Boardwalk at Town Center, a community of one and two bedroom apartments with a broad range of features and amenities. Residents of this pet-friendly community can recline on the rooftop lounges with a cold beverage in their hand or rent a bike cruiser and speed down the nearby bike trail. Whether you are in the mood for a yoga lesson or need to pick up dinner at the nearby bistro, all of your desires can be found on the grounds or a stone’s throw away from Boardwalk at Town Center. 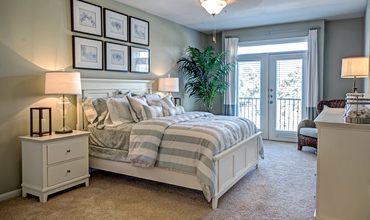 Be a part of this Woodlands community and visit the apartments at Boardwalk at Town Center. A variety of floor plans are available, allowing you to choose the optimal space for your unique lifestyle. Kitchens are equipped with granite countertop islands, under cabinet lighting, and a designer lighting setup that illuminates the sleek appliance package. Homes may also include French doors, private patios, wood-style flooring, and built-in desks. Boardwalk at Town Center represents the apex of classic interior design. 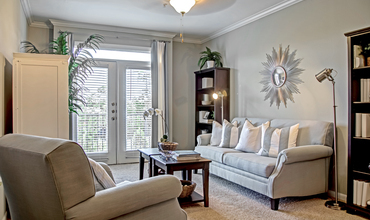 Located in The Woodlands, these pet-friendly, mid-rise apartments are thirty miles north of Houston, TX, and have well-designed one and two bedroom apartments featuring massive floor plans that are decorated with deluxe details. From the oversized bedrooms to the open style kitchens, every room in these apartments is designed with superior materials while maximizing your comfort and convenience. Whether you are baking homemade cookies in the kitchen or watching scary movies in the living room, your home at Boardwalk at Town Center will be unlike anything else you have experienced before. On a warm afternoon, enjoy a refreshing swim in one of two swimming pools or prepare brunch by the poolside kitchen and grill. Residents who enjoy a good workout will be in awe of the massive 3,000 square-foot fitness center, complete with state-of-the-art machines. 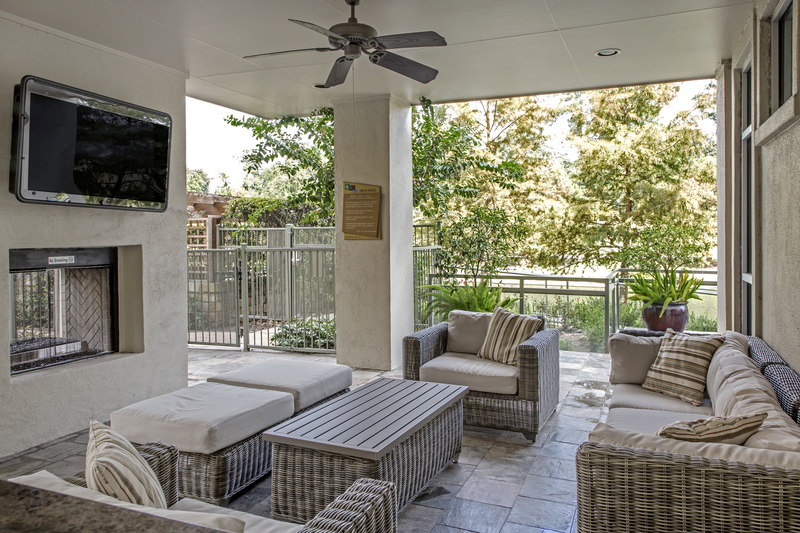 The amenities at Boardwalk at Town Center are ideal for entertaining guests. 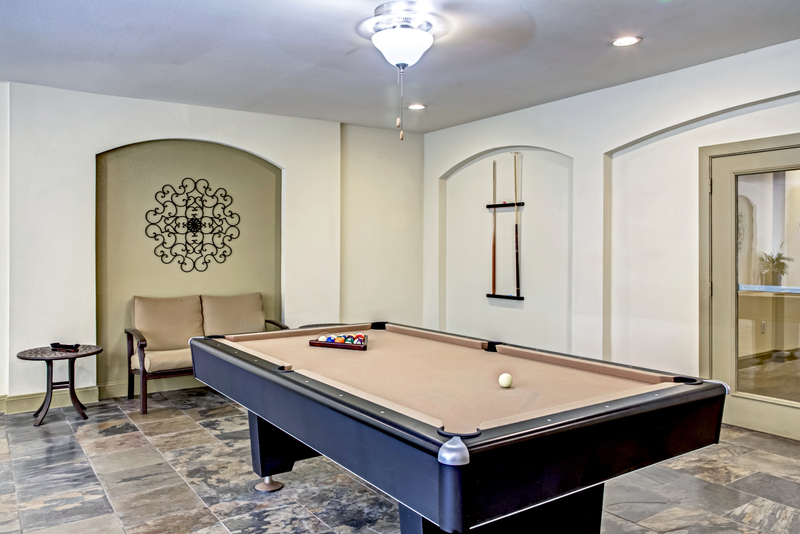 Start your weekend festivities with a few games of billiards in the Loggia lounge, share a round of drinks at the Starbucks coffee bar and finish the night on the rooftop terrace gazing at the stars.